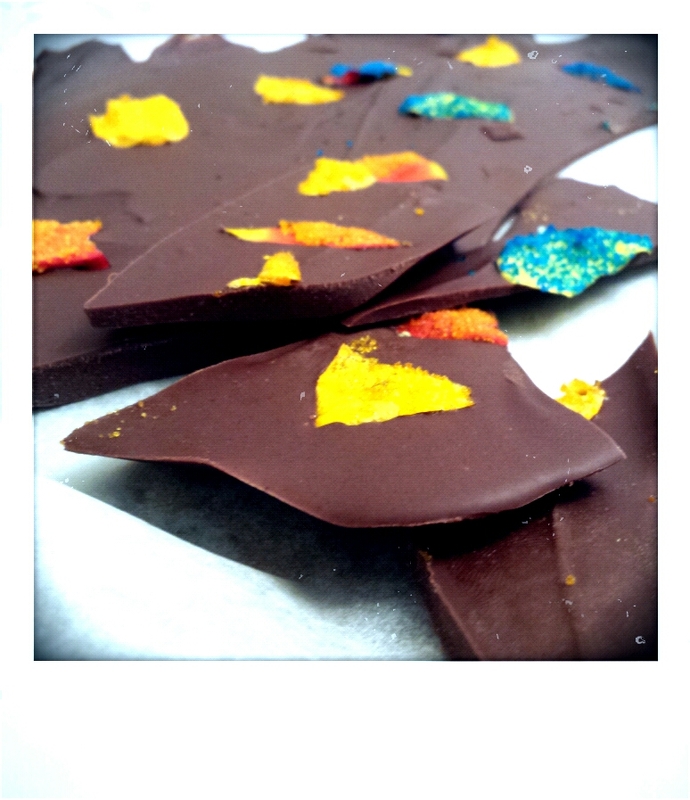 Candied Rose Petals – Appetite Deluxe! If you’re still thinking of a gift to give this is a great treat for a loved one! This Valentine’s instead of giving your significant other flowers, why not make candy out of them? What few people know are that roses are one of the many flowers that are edible! Roses or any flower of your choice (organic/not sprayed with pesticide). 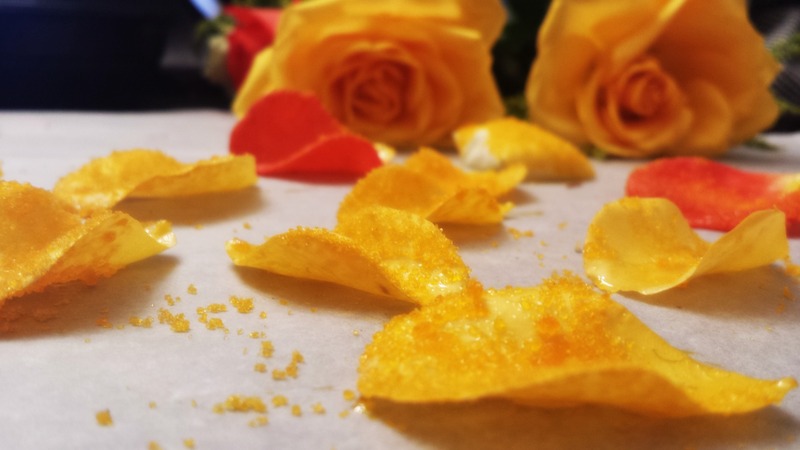 Pretty simple just dip each rose petal in the egg wash then cover with sugar and set on parchment paper to dry overnight. Yep that’s all there is to it! Also when using roses be sure to remove the bitter white portion of the petals. 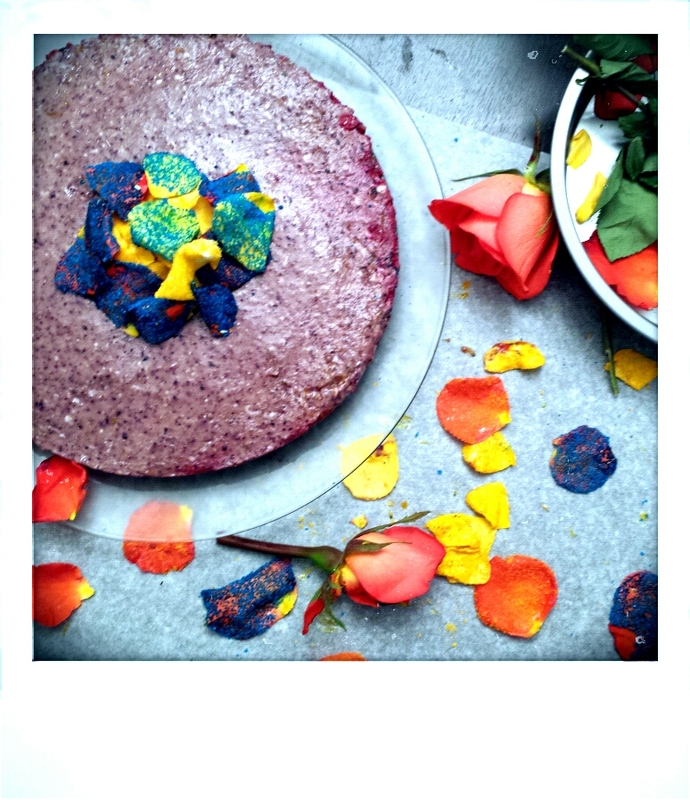 For info on more edible flowers and a helpful chart/guide click HERE. 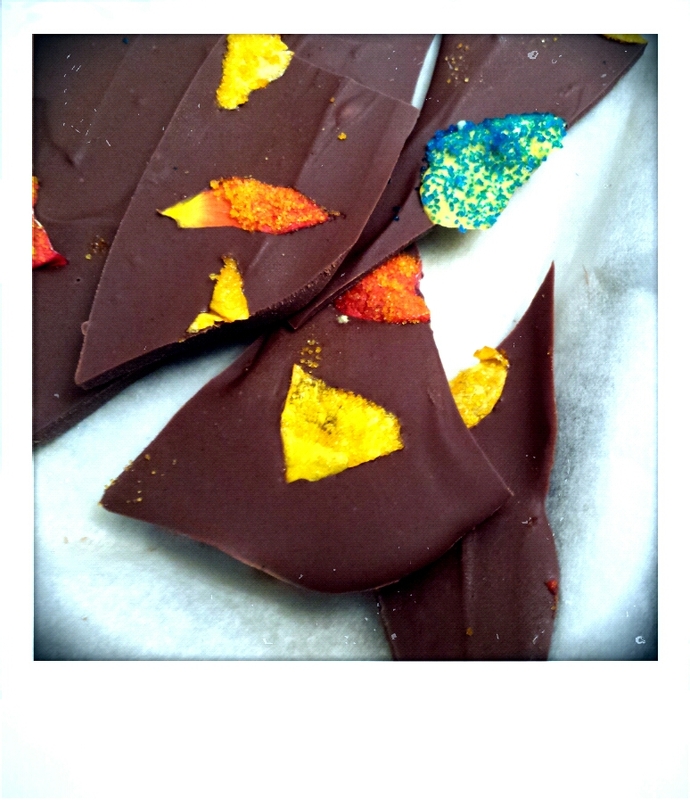 So I decided to make some chocolate cherry bark with the candied roses! 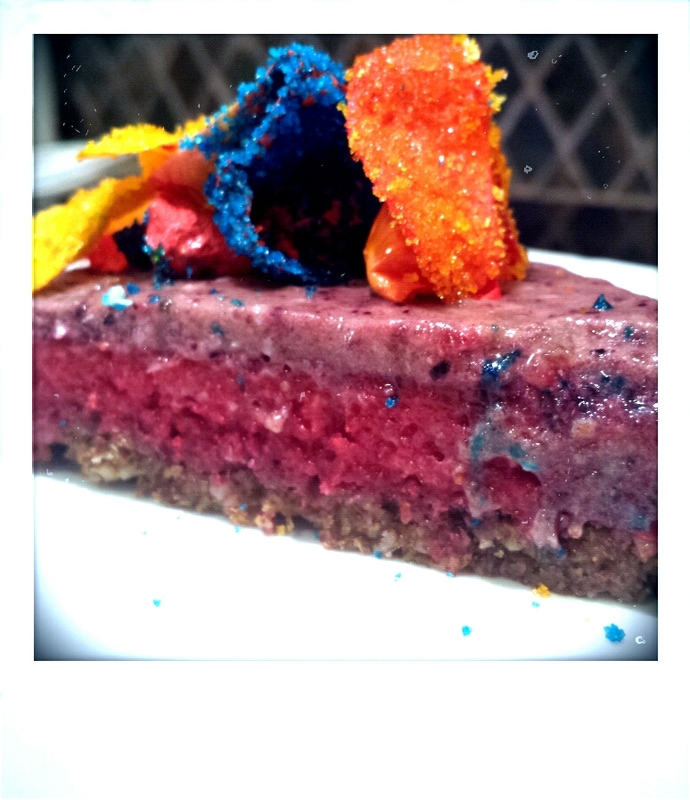 I also made a raw vegan blueberry cheesecake and garnished the dessert with the roses! A great simple and beautiful treat you can give someone for Valentine’s Day!